Welcome to one of the most outstanding properties in Palos Verdes Estates. 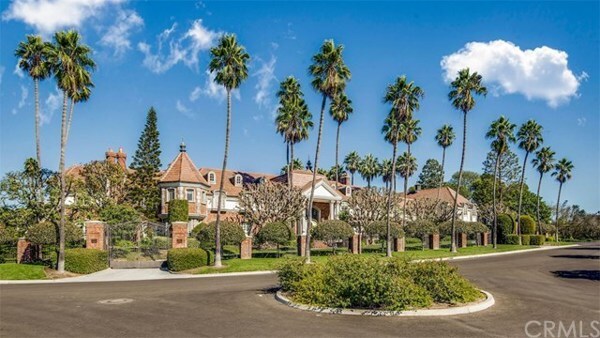 Located on a quiet and secluded cul-de sac at the top of the Palos Verdes Peninsula, this classic, European-style masterpiece features nine bedrooms, eleven bathrooms, a full chef’s kitchen, gym, tennis court, pool, cabana, squash court, music room, and much more. Entering the home, the grand foyer with its lofty ornate ceiling, gorgeous crystal chandelier and wrap-around twin staircase is simply unforgetable. Everywhere you look, the interior architecture is brought to life with exquisite detailing and delicate reliefs. You will feel transported to another world! Walking past the staircase leads to a sitting room and formal dining area which connects to the chef’s kitchen. Both housekeeper and chauffers quarters are located beyond the kitchen and connect to the large garage. Walking the opposite way leads you to a hall which connects a study, game room and a ballroom located at the far North side of the estate. Upstairs, there are the rest of the bedrooms and an enormous master suite with his and her bathrooms as well as large walk-in closets and a sitting areas. The west-facing windows have beautiful ocean views and from the master bedroom balcony you can see sweeping views of the Los Angeles basin. Downstairs in the basement is a squash/handball court, exercise gym, wine cellar, entertainment room and sauna. All furniture and paintings are included in the price. Courtesy of Indigo – A Real Estate Company. Disclaimer: All data relating to real estate for sale on this page comes from the Broker Reciprocity (BR) of the California Regional Multiple Listing Service. Detailed information about real estate listings held by brokerage firms other than Outland and Associates Real Estate include the name of the listing broker. Neither the listing company nor Outland and Associates Real Estate shall be responsible for any typographical errors, misinformation, misprints and shall be held totally harmless. The Broker providing this data believes it to be correct, but advises interested parties to confirm any item before relying on it in a purchase decision. Copyright 2019. California Regional Multiple Listing Service. All rights reserved.